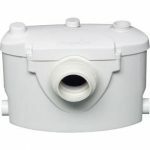 The Turboflush T11 macerator pump will take a toilet, hand basin an a shower. The machine pumps vertical 3.5 metres and 45 metres horizontal. 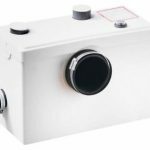 This macerator pump like all macerator pumps operates automatically when it is filled with water and discharges out of a 32mm solvent weld waste pipe. 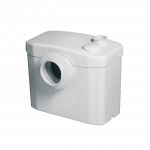 This macerator pump is for domestic use only and not to be used in a commercial setting. 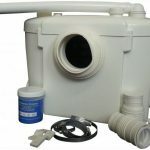 The macerator pump is universal meaning a waste inlet from a bidet, shower or hand basin will connect either side to the macerator pump. Connecting a toilet is really easy, once the machine is fixed in place all you have to do is push the outlet on the back of the toilet in to the push fit rubber connection. 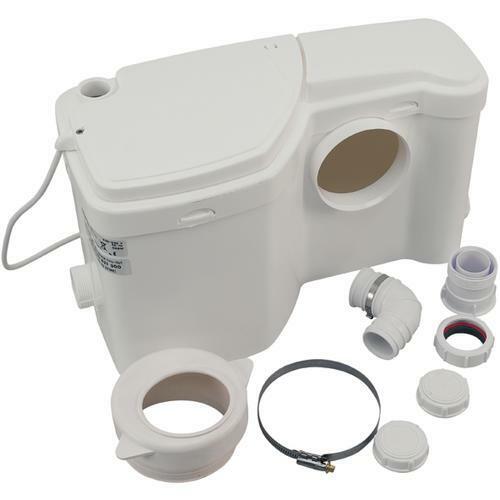 Once your toilet and macerator are joined together, connect your water supply to the toilet cistern then connect your shower, handbasin or bidet waste pipes to either side of the macerator pump. Your wastepaper must run either vertical within 300mm maximum from the waste outlet non return valve, next to the pump as per instructions or downwards and out of the property with a minimum of 1% fall for best results to take the waste water away from the machine. 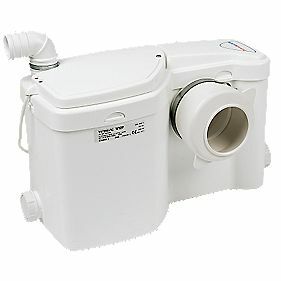 If you are replacing your old turboflush for a new one then fitting time should be 1-2 hours if the existing is not boxed in. If you are installing one from new then fitting time will be approximately 4-8 hours. This Turboflush macerator pump comes with a manufactures 1 year guarantee but that does not cover misuse.